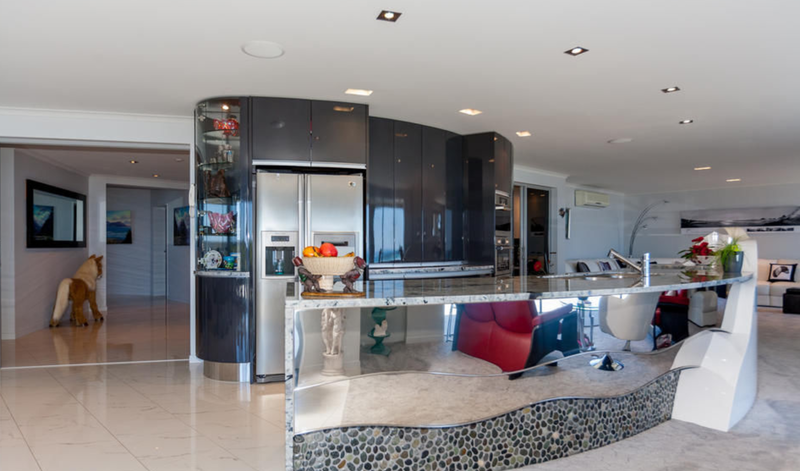 EXCEPTIONAL DESIGN MEETS PANORAMIC WATERFRONT VIEWS! Make your way down the ocean side of the street in New Plymouths Roy Terrace and you can't help but notice the stunning and distinctive design of number eighteen. 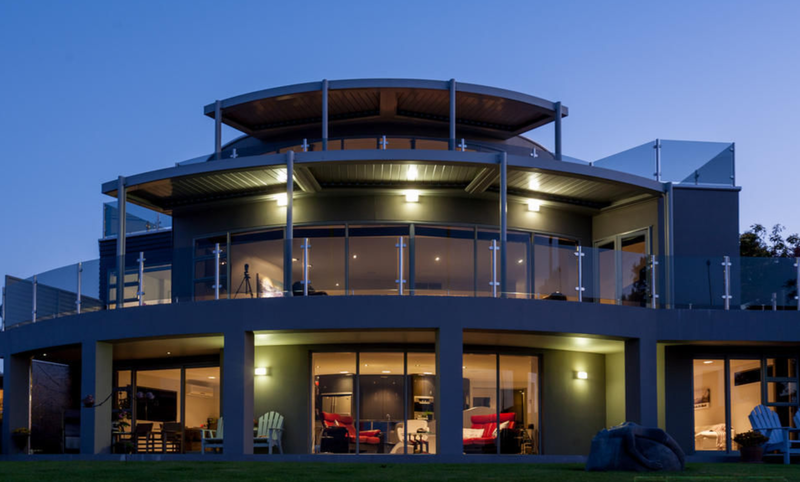 This contemporary residence has been the admiration of many and is only now available. From the moment you enter the foyer you know you are in for something special! 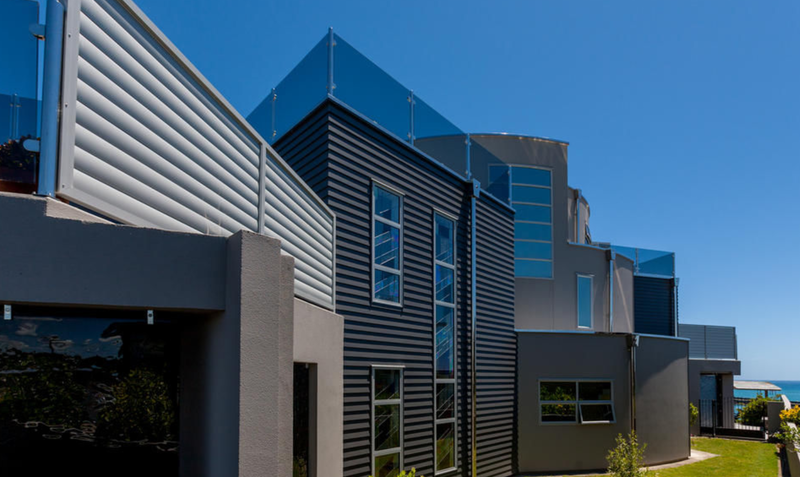 This generously proportioned 589m2 (more or less) home has everything you could wish for and was built with family in mind. Beautifully proportioned, the emphasis is on curved lines to reflect the roll of the ocean and quality finishes in all respects. The entranceway leads you into an open plan kitchen, dining and family area. The designer kitchen features curved fittings to mirror the stunning exterior design of the home. It is a true gourmet's kitchen as if features all the latest amenities and is perfect for entertaining family and friends as it is at the hub of this central living area. From here step out onto the sun drenched patio and relax on the front lawn while watching the boats go by. Also on this level is an office that could also be utilised as a bedroom. A guest bathroom, family laundry and super sized internal access garage with copious amounts of storage complete this level. Wind your way up the curved staircase to the middle level. Here you will find the formal living area, private library, family bathroom complete with spa bath, another bedroom and a kitchenette. A self contained apartment is also on the middle level and has its own private deck which looks out over the city and enjoys uninterrupted views of Mount Taranaki. The master bedroom with en suite is incredibly spacious and also offers a kitchenette - perfect for preparing that morning coffee while looking out over the harbour and marina. A dressing room and a fourth bedroom is also situated on this, the middle level. Each level offers either wrap around decking or patios for making the most of the sun and the panoramic views that this home provides of the Port, marina and ocean. The ever changing seascape of ships and boats entering and leaving the harbour will keep you entertained for hours and the views of the sunsets are just breathtaking! If you work from home it would be a pleasure, if not a distraction, to work in an environment that offers such spectacular views. Linking the floors is a lift - so in the event stairs become an issue, you will have this easy access option between levels. Fully fenced, with remote gates for security, this home really has it all. With ample storage and plenty of off street parking the location of this home is the key. 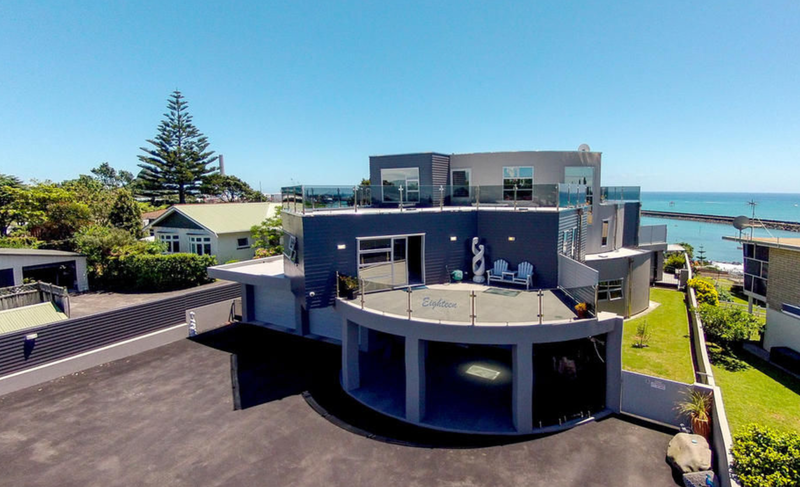 You are within easy walking distance to the local Moturoa shopping centre, Ngamotu Beach and the local cafes, restaurants and shops along Ocean View Parade. 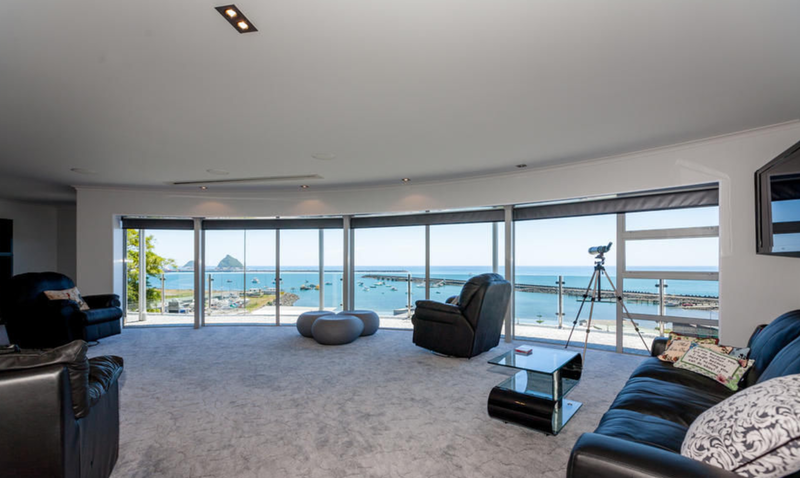 Rarely does a home of this calibre on a freehold 931m2 (more or less) section become available in New Plymouth. Seize this opportunity while you can.